It may not seem like it at times but I do have a life beyond reading and writing about books. I love to make things. Most recently I picked up knitting again, (the last time I knit anything was probably in high school) and am also trying to teach myself how to crochet. 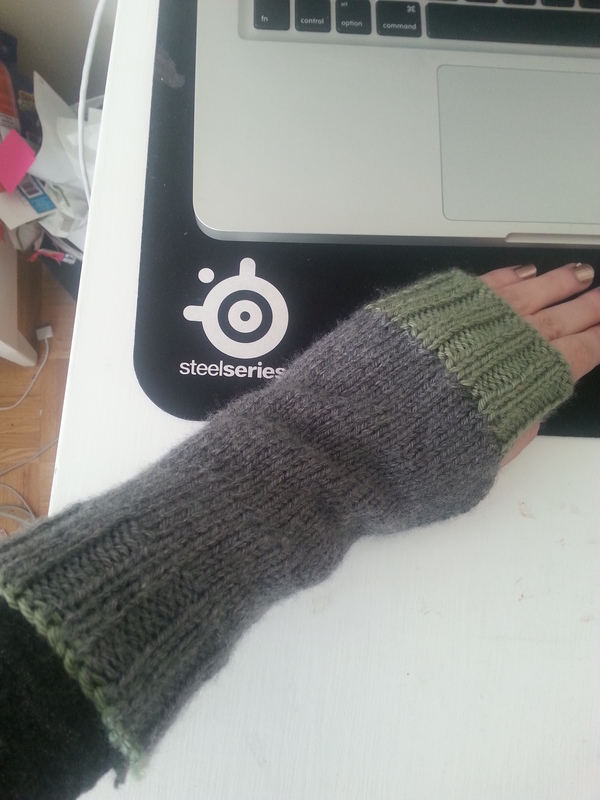 As beginner projects I knit some fingerless gloves for myself and a few scarves which I have yet to wear. I decided to make myself something I actually would wear and found this great pattern at LionBrand for a cozy fall snug. 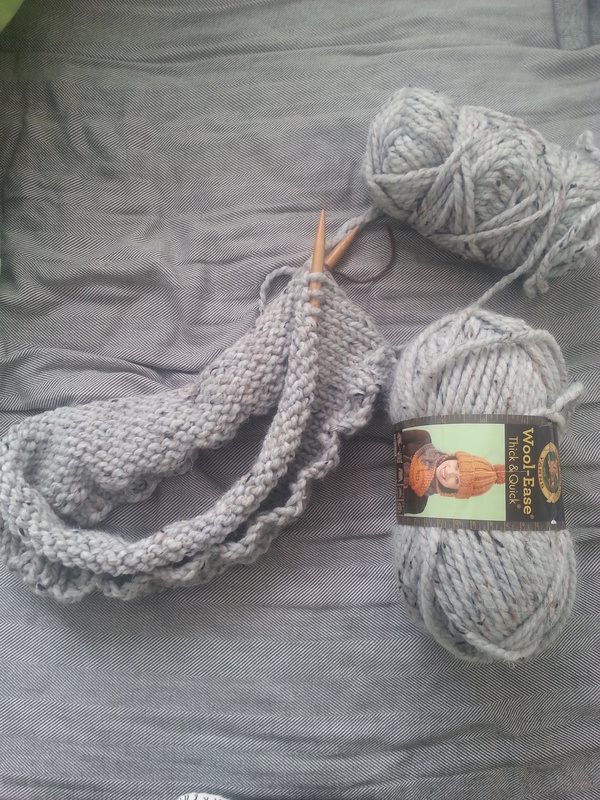 I love LionBrand yarn and their patterns are easy to follow. (Plus you don’t need to try and figure out your gauge, like you do with most patterns on Pinterest) I just picked up some super bulky Lion Brand Yarn and am working on cozy winter cowl. The yarn is so soft and it knits up pretty quickly. 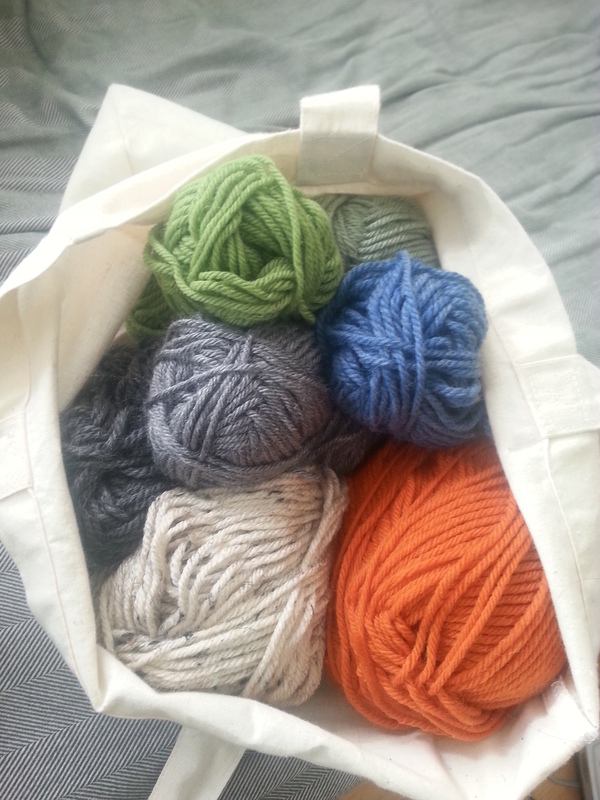 The problem is, I always end up with left over yarn, which is not enough to start a new project with. I tried making some headbands off of patterns I found on Pinterest but they didn’t work out the way I wanted. 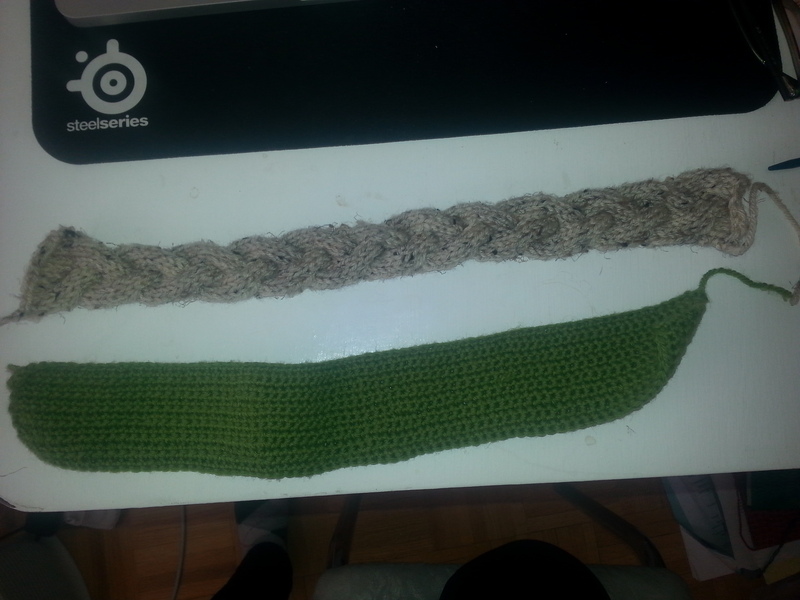 Pretty sure my gauge was off, as neither of these projects are wearable. To be fair, the green headband was my first attempt at crocheting anything. Overall I like the idea of the braided ear warmer, but its just too narrow. I normally use this leftover yarn to try new patterns or stitches that I find online. I really like this mini herringbone pattern and might try to make a headband out of it. Also since I’m figuring out how to crochet I might try and make some book or journal covers. Worst case scenario I’ll make a bunch of bookmarks that I can use. Any other suggestions about what to do with left over yarn? All my yarn leftover from various projects. This entry was posted in Beyond Books and tagged Beyond Books, crafts, Crochet, Fingerless Gloves, Headbands, Hobby, Knitting, Leftover Yarn, New Projects, Scarf on January 28, 2015 by kwils3.